November 14, 2018 (Last Updated: April 7, 2019) - As an Amazon Associate I earn from qualifying purchases. Scandenavian comfort food that goes by many names. Whether you call it Pault, Pult, Klubb, Klub, Korppkakor, Raspeball, kumle, komle, kompe, or potetball… it is the same delicious flavors. This Klubb Recipe is great. 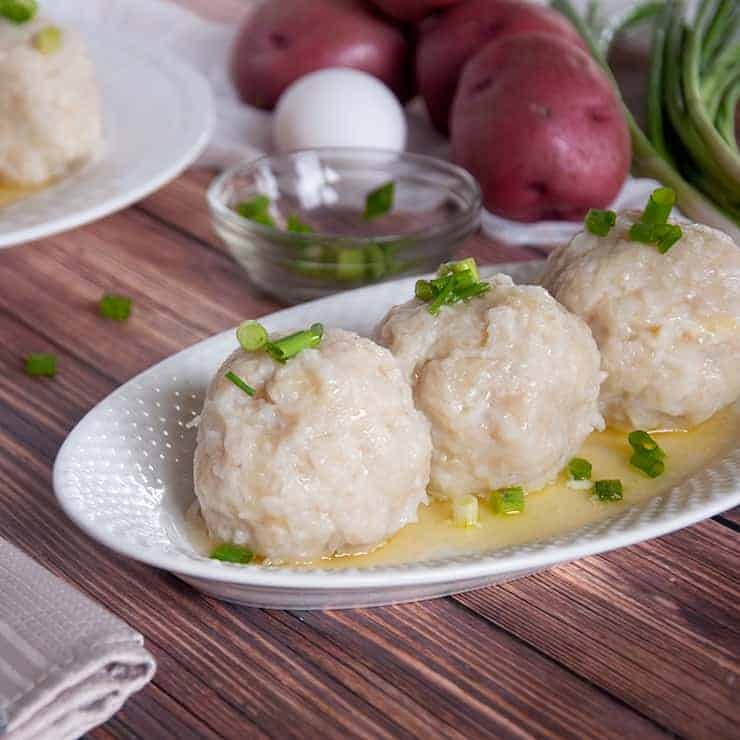 Often served as a Norwegian holiday favorite in our area, these Norwegian Potato Dumplings holds a place in many family traditions. 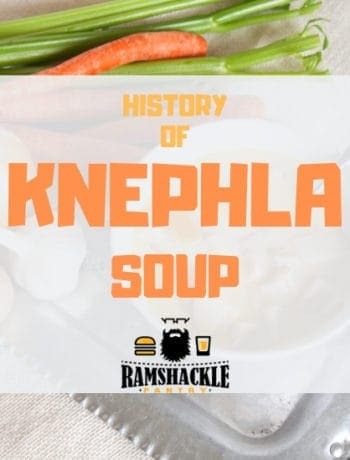 I sort of fell deep into heritage recipes with our Knoephla Soup series and we are going to explore that a bit more today. We are going to move away from Germany, however, and are going to travel to Norway to make some Klubb. 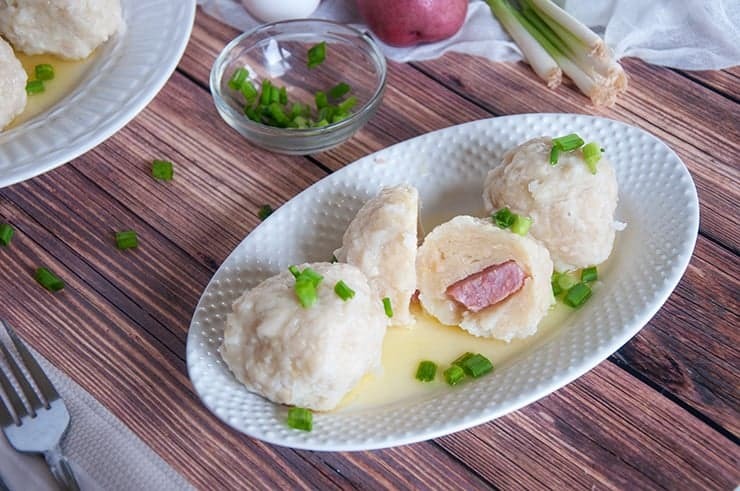 Klubb is a traditional meat-filled Norwegian potato dumpling that really is tasty, filling, and interesting. 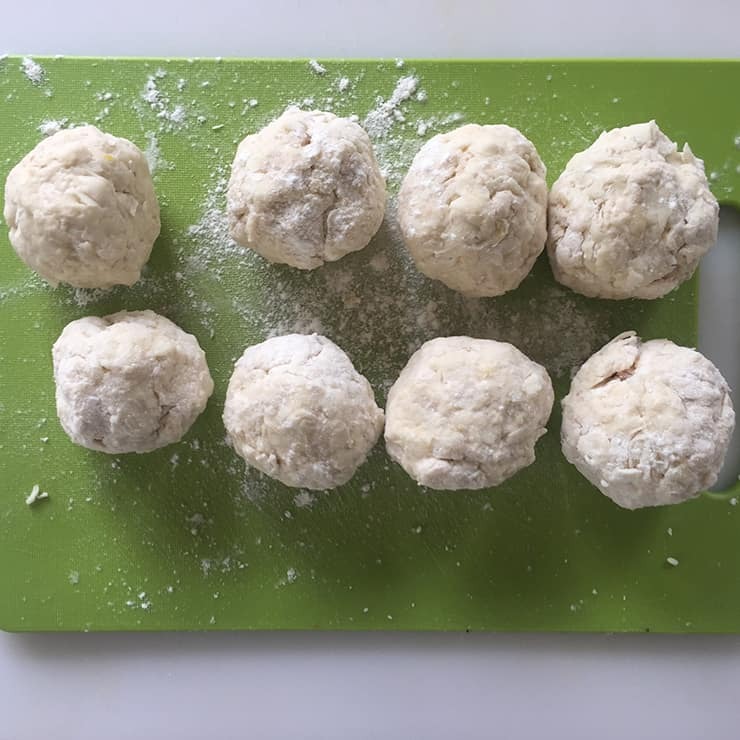 Join us on our adventure of making Klubb, a Norwegian Potato Dumpling. I already established that it is a Norwegian dumpling, but there is more to it than that. The actual dumpling portion is a mix of shredded potatoes and flour. Then, the center of the dumplings have a hunk of salted pork. Other kinds of meat work, but pork is the most common. I tried several different variations and I think ham works quite well. These are fairly dense and filling dumplings that are fairly large. I would say that I had the best results with making them about the size of extra large meatballs or maybe slightly smaller than the size of a racquetball. They are tasty little suckers. While I know this dish as a Norwegian one, it has roots in many parts of Scandinavia and is known by many names. Pault, Pult, Klubb, Klub, Korppkakor, Raspeball, kumle, komle, kompe, and potetball are all names that I have heard for this same recipe. A friend told me about pault and that it is from Swedish origin, but is the same dish. I think it is fair to say that it really is a Scandinavian dish. It actually took me quite a few times to get these little suckers right. At first, I was finding that the recipe I was making was more of a batter and they would pork-filledfall apart in the simmering water. I also experimented with different sizes of shreds and I found similar frustration. Finally, I figured it out. 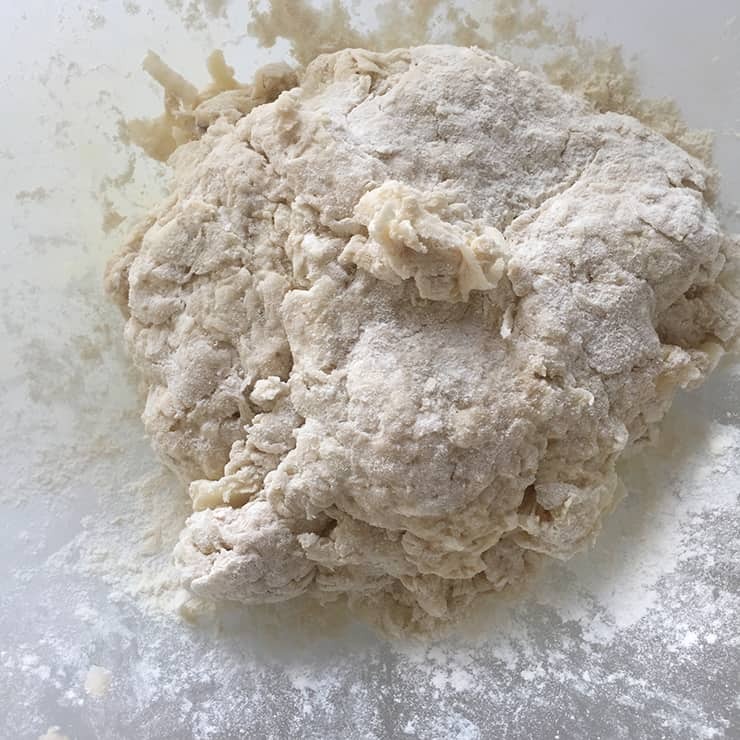 This dumpling dough should have a consistency that is similar to a dense bread or pizza dough before it has risen. 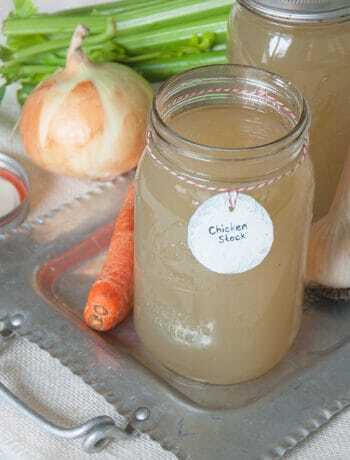 It should feel and look solid enough so that it might weather 30-45 minutes in simmering water. I found that if I started off with my shredded potatoes and eggs, I could add flour until I created a manageable dough. I mixed it until it was kneadable like a bread dough and firm. For me, the ratio I found was about 4 potatoes and 3 cups of flour, but I would not hesitate to add more flour if need be. There are a few things to watch for when making Klubb dumplings, particularly when simmering these dumplings. First, use a large pot. We do not want to crowd these guys. They need room. Second, use plenty of salt in the water you are making these dumplings in. This will give these guys a bit more flavor. Finally, be aware of stirring these dumplings. There is a bit of a balance going on when you are simmering these dumplings. I found that they have a tendency to stick to the bottom of the pan, which you want to prevent. At the same time, you do not want to agitate the dumplings so much that they start to fall apart in the pot. To combat them falling apart, I add them to the pot and allow to simmer for five minutes. Then, using a large metal spoon or spatula, I make sure the dumpling are not sticking to the bottom and carefully loosening them if they are. We want to work to make sure the dumplings stay in tact and are not sticking at the bottom. After the first 10 minutes, you are probably in a safer zone, but just something to watch for. The accompaniments of this dish are super simple. A few chopped green onions, melted butter, salt, and pepper are all that is needed for this dish. It really is a filling meal and does not need much more than the dumplings themselves. I told my father-in-law I was making this and he told us about a fond memory of his. His mother used to make this dish, but then these dumplings were served for breakfast the next day as leftovers. They would chop up the dumplings, fry them in butter, and then serve them with syrup. We tried it and it really is great. I think I found something to experiment with. While he recommended syrup, in my mind I was thinking that this really could be good with some Asian spice flavors as well. Sriracha or Sambal Oelek could work really well with these leftovers. So much food to eat and not enough belt notches to expand to. Sigh. I hope you really enjoyed our little departure from Knoephle soup and feel like making this dumpling. 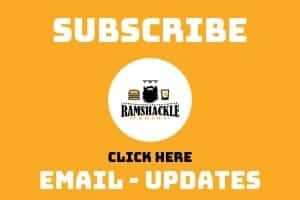 Thank you so much for reading along and if you like what we are doing, please take some time to subscribe to my email, follow me on Instagram, and follow me on Pinterest. 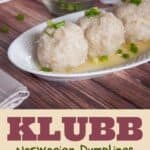 These Norwegian Klubb Dumplings are so tasty, filling, and a great way to celebrate Scandinavia. Whether it is a holiday tradition or a weeknight meal, these dumplings are worth the effort. 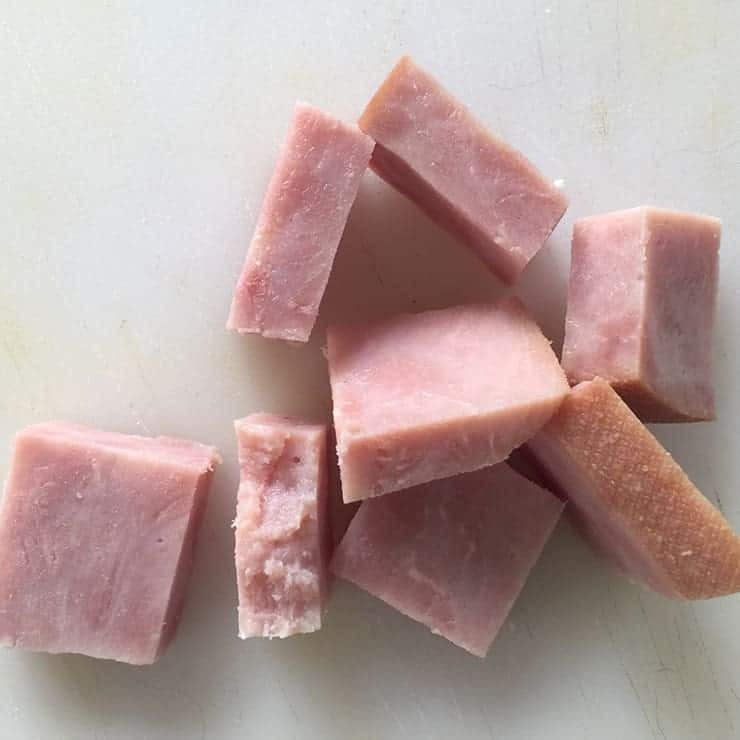 Wrap dough around one cube of ham. Each dumpling should be the size of a large meatball and you should get 8-12 dumplings. Drop dumpling into simmering water and allow to cook for 45 minutes, making sure dumpling does not stick to the bottom of the pot. Excellent recipe. I’d eat this again. Leftovers were awesome! Great idea for using leftovers as a recipe to create a new dish! This sounds delicious, thanks for sharing! Comfort food for the win! These look so delicious! I could definitely go for a couple of those! I like your process photos. And seriously, a potato dumpling stuffed with ham and coated with butter? Talk about amazing comfort food! 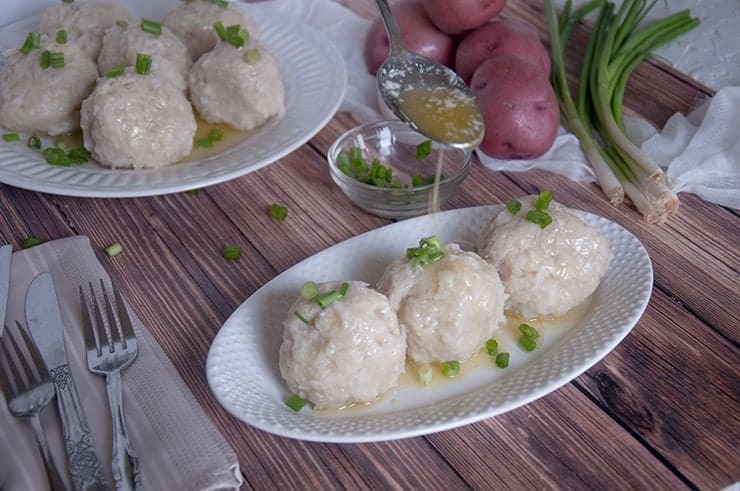 Looks so delicious and perfect for this season – so hearty and comforting ♥ I love dumplings! Huh…. I guess I didn’t even think of that. I would say that these tend to be much denser and because of the size, it feels heavier. But I totally get where you are coming from. 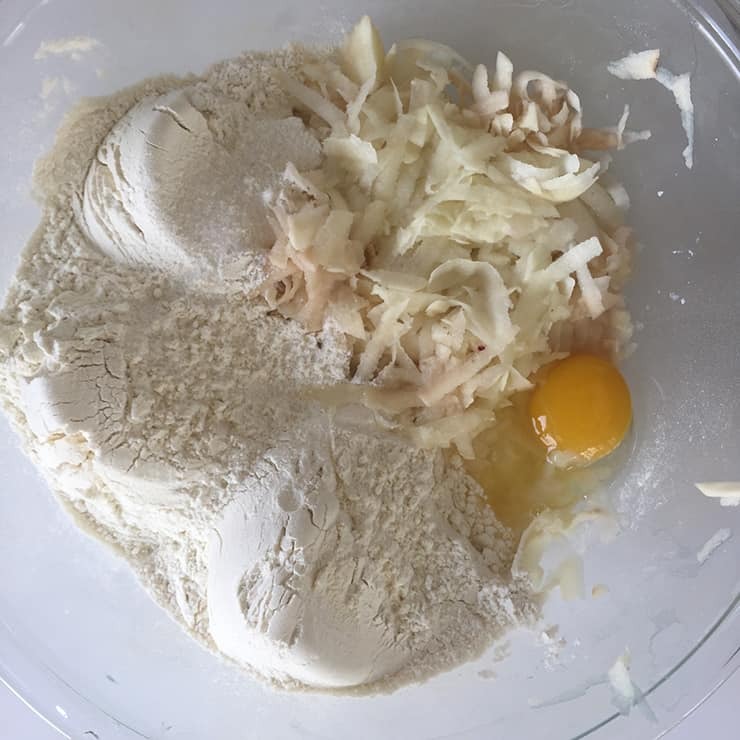 The ingredients list is almost identical other than the ham, but I guess the big difference is the fact you grate the potato and mix it raw with the flour and egg, rather than using the flour and egg to bind cooked and mashed potatoes. Interesting how you can get very different textures (and flavors) just by changing one or two things about a recipe. I grew up with these due to my Norwegian heritage. I only make them in the winter and truly love them. I stuff the klubb with salt pork sauteed with chopped onion. But my favorite is the next morning leftovers. I cube the klubb, add a couple pads of butter to my black iron skillet, then add the klubb once the butter is melted. While the cubed klubb starts to sizzle in the pan, I add 1/2 & 1/2 and stir. The 1/2 &1/2 actually thickens like a gravy. Once thickened, I scoop over toast and add a little salt and pepper to taste.